Although the video cameras in smartphones have improved by leaps and bounds over the years, many still feel that they aren’t up to scratch. In many cases however that isn’t so much because of the camera itself, but rather other factors that affect the videos you record. The video sensor in smartphones is smaller than DSLR cameras and camcorders, which makes it more susceptible to poor lighting. In particular it may affect the colors of your video and make them look washed out or have a colored tint. To fix that you should use color correction. An easy way to start is to apply automated white balance tools and other color enhancement filters, but for best results you should manually tweak the color parameters until you’re satisfied. Another common issue in smartphone videos is they may look shaky because the camera wasn’t kept completely steady. In most video editors there should be a video stabilization feature that you can use to fix that, but it may only work up to a certain point. Beyond that point you will have a decision to make, and can either correct it as much as possible or trim out the shaky part of the video. While the video cameras in smartphones nowadays are much better, the microphones aren’t that great. That is why the audio in many smartphone videos tends to have lots of issues. It may be possible to improve the audio quality slightly by editing it and adjusting the audio levels. Some video editors may even have tools that you can use to minimize background noise. If that doesn’t work however you could consider removing the audio track, and replacing it with a new one – such as background music. Arguably the most popular way to edit smartphone videos is to apply filters to them, and most camera apps have a variety built-in. The editor that you use will likely have more options as well, so you can pick and choose which style you want to apply to your video. Make no mistake none of these ways of editing videos are that complex – but it will largely depend on the editor that you use. 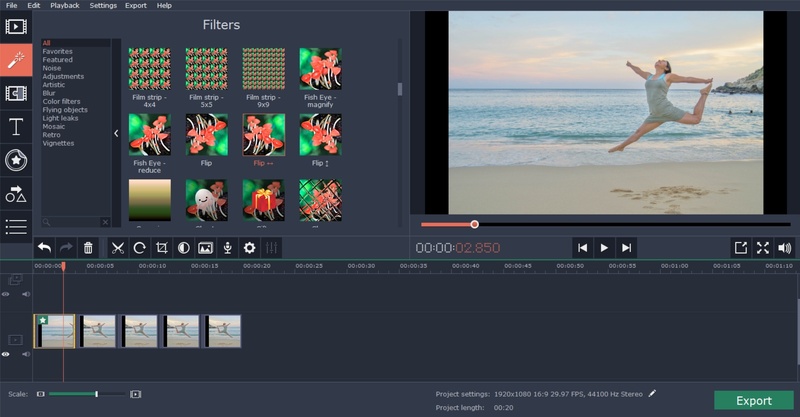 For example if you’re looking for an easy-to-use editor that is akin to an iMovie for Windows 10, you could try Movavi Video Editor. By focusing on improving the areas that normally suffer the most in smartphone videos, you should be able to transform them so that they are closer to your expectations. From there you can proceed to try editing your smartphone videos in other ways, and create impressive videos using them.